P.T. Astra Daihatsu Motor (“ADM”), a subsidiary of Daihatsu Motor Co., Ltd. (“Daihatsu”) in Indonesia, will premiere four concept cars and will also debut the COPEN in Indonesia at the Indonesia International Motor Show 2014 to be held from September 18 (Thursday) to 28 (Sunday). The UFC 3 to be exhibited at the Motor Show is a concept car evolved from the UFC 2 that was exhibited in 2013. 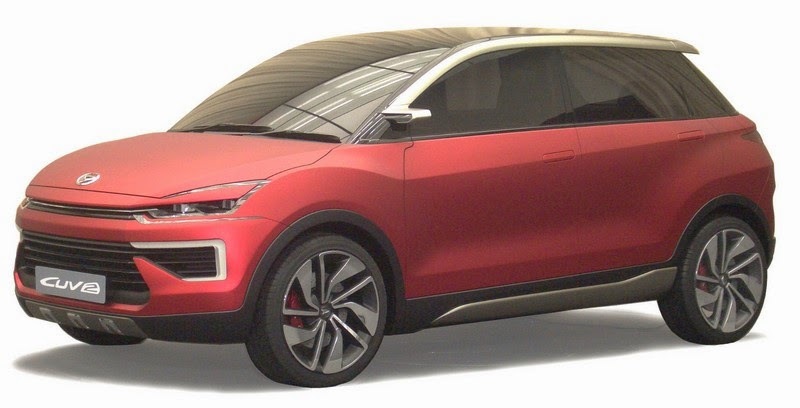 This concept car is a Front-Wheel Drive (FF) MPV, which is intended to be an exclusive model for Indonesia. The COPEN is a compact sports convertible that Daihatsu plans to market in Indonesia. Under the theme of “Fun with your Best Friend,” ADM will attract attention to the marketing of products and sales activities that reflect the needs of the market in Indonesia and to its efforts regarding further localization in terms of production/procurement. The UFC 3 is a Front-Wheel Drive Multi-Purpose Vehicle (MPV) that utilizes Daihatsu’s technology for compact cars. While it has a compact body for easy driving, it boasts a spacious interior with a seven-seat capacity and a sporty and innovative design. The SUV Concept is a real FR-SUV with the image of a flagship model in ADM’s lineup. The model has a dynamic, high quality and sophisticated design. The CUV 2 is a sporty crossover that has the elegance of a coupe and the dynamic image of an SUV. The AYLA GT 2 has a more sophisticated sporty design based on and evolved from the AYLA GT that was exhibited in 2013. The COPEN has adopted a new frame structure called the D-Frame structure to achieve enhanced steering stability and passenger comfort. The customizable interior and exterior structure called DRESS-FORMATION allow the users of this sporty convertible to express themselves. The COPEN draws attention to Daihatsu’s unique, wide world of compact cars. Daihatsu is scheduled to market the model (the time to launch has not yet been decided).